Peak nightly rate: $24 per night (includes 2 people). Additional adult (16+years) $12 per night, additional child (5–15years) $6 per night, infants (0–4 years) free. Off peak nightly rate: $17 per night (includes 2 people). Additional adult (16+years) $8.50 per night, additional child (5–15years) $4 per night, infants (0–4years) free. Check in after 12pm. Check out by 11am. A licenced café, telephone and very basic supplies are available about 5km away, across the ferry crossing. 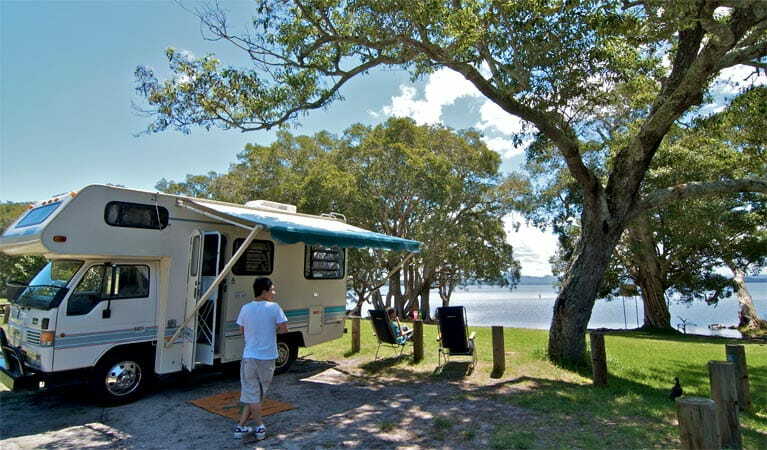 Mungo Brush campground is a popular and well known campground near Hawks Nest on the north coast. It’s a great place to take your caravan, campervan, trailer or tent. 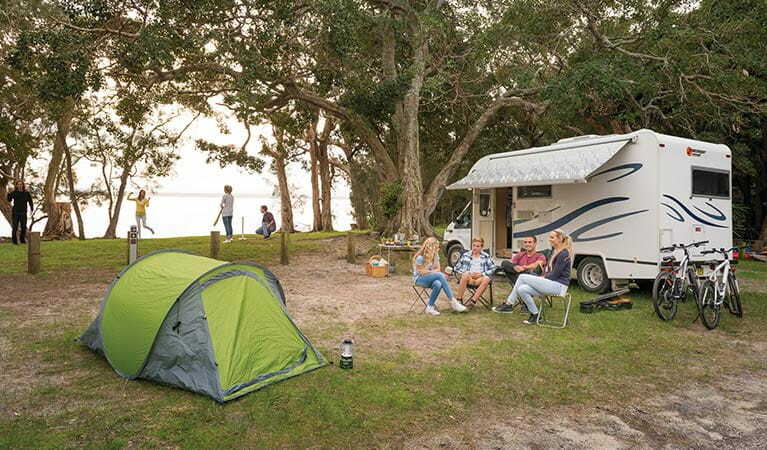 There are tonnes of campsites to choose from – so you’re bound to find one that suits you well. 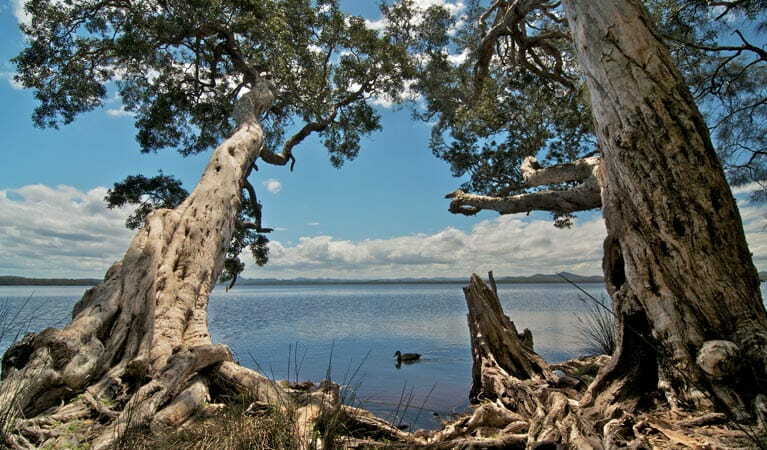 From the campground there is easy access north to Mungo Rainforest walk and south to Tamboi walking track and Mungo walking track. 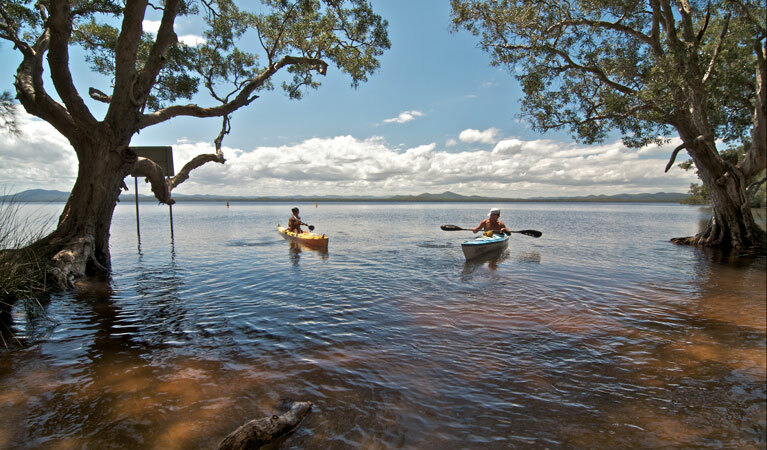 Being right on the lake means there are great opportunities to go for a kayak or canoe along the lower Myall River to Hawks Nest. 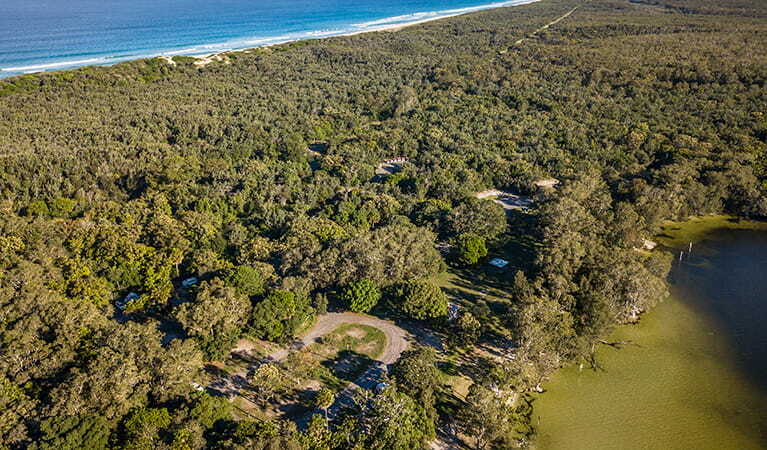 A short walk from the campground leads to the beach, where you go swimming, fishing and sailboarding. If you’re clever enough to catch a fish, you can cook it up for dinner on one of the barbecues in the campground. You don’t always have to hike far to find an excellent campsite. 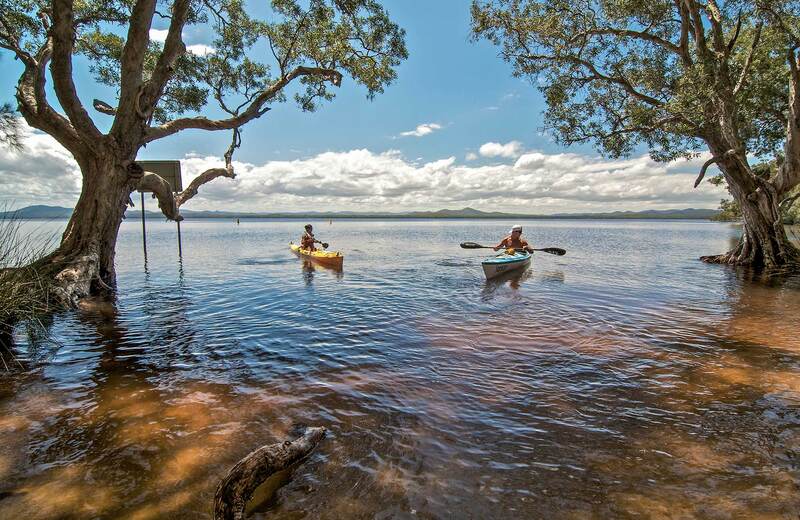 NSW is packed with incredible locations where you can camp in your car, including Mungo Brush campground. Here’s why and how to car camp.